Welcome to EMA Real Estate Agency Ltd.! We are the right company when it comes to real estate in Berlin and its periphery, especially Falkensee and its surroundings, because we are qualified and reliable. Buying, selling and renting of your property are our professions. Especially, when buying or selling a property, a lot of extensive processes proceed, that most customers are not familiar with. Long-time experience and responsible guidance of our agents ensure all participants’ individual interests. Thereby integrity and confidentiality are matter of course. Additionally to basic identification or creation of an exposé for your property, our effort reaches far beyond. We examine your land and facility, develop market analyses, verify property documents, analyze existing contracts, offer valuable legal advice on the sales contract and help you to find the appropriate financing. If desired, we are more than happy to help you with official regulations and permits, as well as with all house construction affairs and concerns. Our network consists of excellent and renowned partners, such as legal experts, architects, planning offices, construction companies and financial management experts. Working with EMA real estate agency you will receive dedicated assistance for your project – everything from one source. We invite you to convince yourself of that promise in a trustful cooperation with us. Your satisfaction is our philosophy. Let our success be your success! Thus, who are we and how did we make it here? Our team constitutes a fusion of three experienced businessmen, desiring change. Each one of us involves a great wealth of experience and solid expertise to provide you with the maximum safety for your own personal project. Since 1992 my life revolves around real estate. In addition to selling existing properties for investment, rent or personal use, I also successfully developed individually designed concepts for buying real estate. In selling turnkey ready facilities for multiple house construction companies, I gained extensive knowledge and experience about the contract design, the construction process and about construction itself. My range of activities regarding real assets was broadened by interesting redevelopment properties in for example Berlin, Dresden and Leipzig. Throughout every project, the satisfaction of my customers was always at the center of my actions. In concentrating on dialogues and open communication, I manage to enable challenging information exchanges and trustful client relationships. During my thirteen years as a real estate agent for a well-known and large agency in Falkensee, I managed to achieve a respectable known status for the local people. 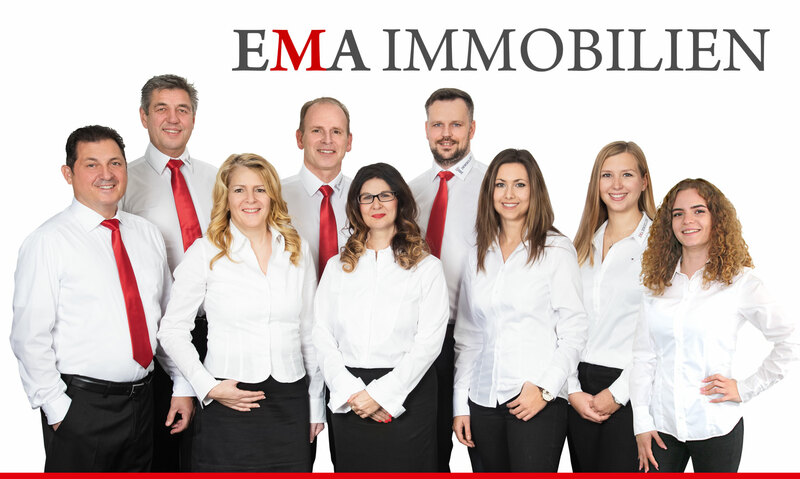 It is time for me to take this new professional challenge with EMA real estate agency. I set up my first company over thirty years ago in Berlin-Spandau. At this time I started to sell building materials. After the first three years “Ingo Nenn Baustoffe” transferred into “Nenn Baustoffe GmbH”. A few years later, I founded the company “Nenn Entsorgung GmbH”. After being sold to Europe-wide operating ALBA Group, the company still carries the same name. My eye-catching containers are well known across the borders of Berlin and are a trademark for reliability and environmental expertise. I’ve always been determined and successful when it comes to my entrepreneurial activity. My focus lies on well thought-out concepts, market orientation as well as thinking and acting in the purpose of the customers and the environment. The more complex my area of responsibility, the more fascinating it seems to me. The wish to position myself anew with EMA real estate agency is in accordance with my motto – as a manager I have to manage. According to this motto I also engage as chairman in the IGF, the “Interessengemeinschaft Falkensee”, an association of local companies. As founder of a well-known and successful real estate agency in Falkensee, I am looking back on more than 24 years of thriving work in this profession. In search of new professional challenges, I worked on the beautiful Spanish island Majorca for ten years. Dealing with sophisticated international clients and selling high-class properties, improved not only my wealth of experience and my expertise, but also my language skills – I can now say that I am fluent in English and Spanish. My return to Falkensee is reducible to my sense of home, that I experienced more and more while being abroad. EMA real estate agency symbolizes new professional challenges in a familiar surrounding. My old network is reviving and my sound knowledge of the city Falkensee provides significant benefits. Working as a real estate agent is my passion – professional, service-oriented, uncomplicated. Therefore I am proud to participate in the steadily growing success of our company EMA real estate agency. As an educated media designer, I am responsible for the organization and the layout of our sales documents and the coordination of marketing activities. I support my dear colleagues whenever I can and I manage the office at Spandauer Straße 176 in Falkensee. At the office you can get information on our illustratively and modernly presented properties as well as you can gain a first impression of us in a friendly atmosphere. My creativity, my talent for organizing and my kind and gentle contact to our clients are some of my personal strengths. Being educated in quality assurance, I was responsible for the design and presentation of brochures in a Berlin furniture store for many years. Thereby I was able to benefit from my long lasting passion for photography in a professional context. My goal and my task are to create meaningful sales documents and to present your property in the best way possible. During the past eight years I successfully put these skills into practice while I was working for a renowned real estate agency in Falkensee. It was time for me to accept a new professional challenge. Together with my dear colleague Angela Schwabe, we are the friendly voices on the phone and we are happy to meet you either on the phone or in person at out office. In year 2014 and again in 2015, EMA real estate agency has been awarded as “Best Property Agent” by Europe’s largest real estate magazine “Bellevue”. Furthermore, we are a premium and busines partner of the popular real estate portals Immobilienscout24 and Immowelt. Monday to Friday 9.00 am till 5.30 pm and by arrangement.